The new KPBS logo (above) and the one it replaced. KPBS, the PBS and NPR affiliate in San Diego, has unveiled a new logo for the first time in 28 years. The new logo consists of two parts: the call letters in lower case and what is being called a community voice bubble. It is the seventh logo for KPBS since the station first went on the air in 1960. The former logo had been in place since 1991. The station said the new design is a visual representation of KPBS’ role in stimulating lively conversation in the many communities it serves with wide-ranging content across an array of channels. “We understand that our logo was loved and recognized within the community,” said Tom Karlo, KPBS general manager. “However, it was not digital-friendly for streaming and online content platforms. Most importantly, it was no longer reflective of who we are and where we are headed. Karlo said a new mission and vision were developed last year as part of a long-term strategic plan. Team members from all departments developed organizational priorities that will set a path for the station’s TV, radio and digital content for the next decade to keep KPBS one of the nation’s most successful public media organizations. 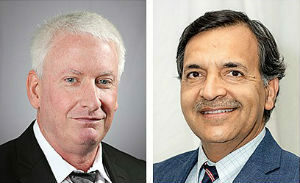 The San Diego Business Journal, a weekly local business newspaper, has named Vik Jolly as editor-in-chief and Stephen Adamek as managing editor. Jolly succeeds Nels Jensen, who left in December after four years to pursue other career opportunities. Adamek is filling Jolly’s past role. Jolly, who had served as the newspaper’s managing editor since September 2017, has worked as a journalist for nearly three decades with stints at the Orange County Register, Associated Press and newspapers in Hawaii and Palm Springs. “When the editor-in-chief position opened up, there was no question who my first choice was to fill it — Vik.” said Barb Chodos, publisher of the Journal. Adamek has worked at the newspaper for eight years in several roles, including web editor and copy editor. He previously worked for nearly 19 years at the San Diego Union-Tribune as a copy editor in features, news and business. The San Diego Business Journal is owned by CBJ L.P., which also operated the Los Angeles, Orange County and San Fernando Valley business journals. 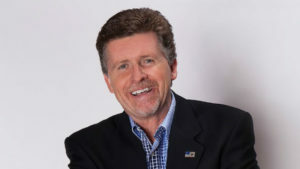 Conservative radio talk-show host Mark Larson reports he has signed a contract extension to remain at KFMB 760-AM through June 2021. Larson, host of the weekday, 10 a.m.-to-noon time slot, joined KFMB-AM in June 2017 after eight years as weekday morning host at KCBQ 1170-AM. This is Larson’s second stint at KFMB. Larson, who is currently the local record holder for continuous on-air work in the San Diego market, moved to San Diego in June 1976 from Rockford, IL, to work at KFMB until 1994. 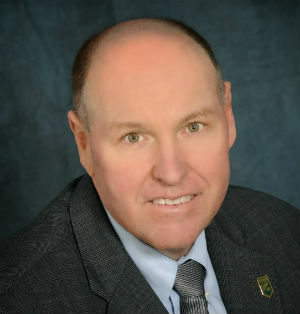 He then worked from 1994 to 2004 at KCBQ-AM and its sister station KPRZ 1210-AM, followed by KOGO 600-AM (2004-2007) and XEPE-AM 1700-AM (2007-2008) before rejoining KCBQ in 2009. Larson also is a frequent guest talking politics on KUSI-TV/Channel 9 in San Diego as well as nationally on the Fox News Channel. In case you’re wondering, Larson’s 42 years of continuous on-air broadcast presence in San Diego compares with Sam Bass, who was heard on KYXY 96.5-FM for 44 years (1978- 2008), and Hal Clement and Bill Griffith, both with 39 years on TV before retiring in 2011 and 2015, respectively. The American Marketing Association‘s San Diego chapter will host a program on what cause-related organizations are doing to promote and serve Hispanics in San Diego from 4:30 p.m. to 6:30 p.m. on Wednesday, Feb. 13, at National University’s Spectrum Campus, 9388 Lightwave Ave. Speaking will be Bennett Peji, vice president for Jacobs Center for Neighborhood Innovation. Peji directs the center’s local economic development program as well as the branding, marketing and community affairs work. Admission is free for AMA members, $10 for non-members. The local AMA chapter’s Hispanic Marketing Special Interest Group is organizing the event. More information is available online.